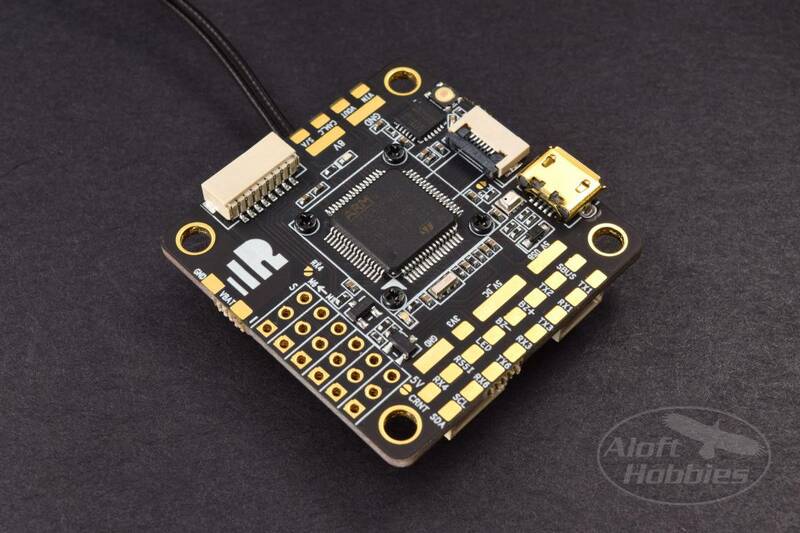 The F4 V6 FC rocks with an MPU6000 gyro which is connected via SPI to the F4 for high speed updates. The integrated R-XSR is removable via a small ribbon cable (no soldering). Both the Rx and the gyro are protected in a small plastic enclosure mounted to the board. 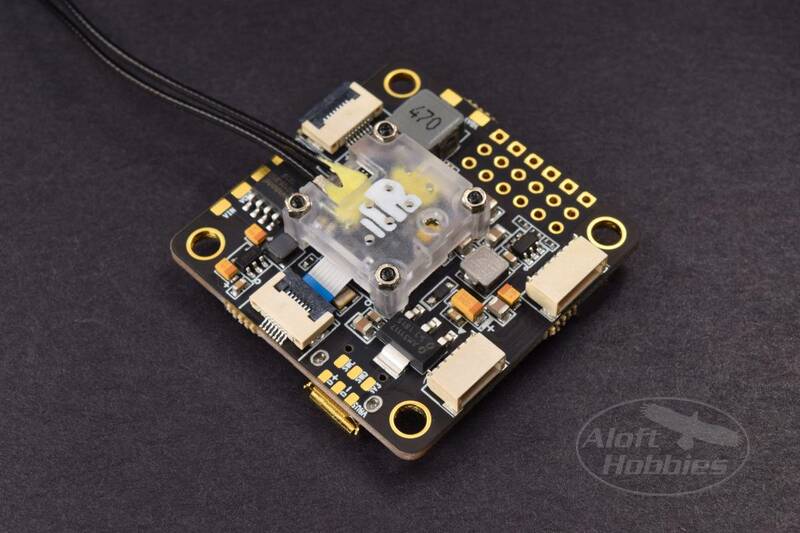 This board has 5 UARTS, a barometer and an AB7456 chip for use with Betaflight OSD. The operating voltage of the F4 V6 is 3~6s Lipo.